Playing Bingo has never been more fun and more available in Canada than right now. Today's online Bingo options mean you no longer need to load up your car, because Bingo online delivers real money fun right to your living room. Canadian players are only ever a click away from B.I.N.G.O! Plus, they're also bringing in some very lucrative purses with real money play, as well as fun prizes. Many Bingo enthusiasts still love to go to their local casinos because the social interaction adds a little something extra. However, online players have discovered that there is a whole lot more happening when playing Bingo online for real money. Playing Bingo online is not exactly the same as playing at a local festival. Although it doesn't take a tech-savvy individual, knowing the ins and outs and variety of options is very helpful. Typically the online bingo game will involve a pop-up window, so you will need to be certain to have any pop-up blockers disabled on your computer. Log into your favorite online Bingo site. You will need to provide an email address. Have your preferred form of payment ready. Get familiar to the new online bingo site by playing for free. Move on to playing for real money online once you are acclimated. You are now ready to get down to some serious gaming fun. Remember there is no need for a dabber when you have a mouse or a mouse pad to mark your numbers. Why gamble online as opposed to traveling to a traditional brick and mortar location? It is really about dollar and sense. Imagine the time well spent - playing mobile bingo, or on your laptop. It's so much fun to play while you are watching your favorite television show or while cooking dinner. When you're ready for some real money, high stakes Bingo, just switch your focus and get your game face on. Picking the perfect Bingo site is not as easy as it sounds. There are always bogus sites or those with a bad reputation hanging around that you need to avoid. The busier the site the better, but there can be traffic that is extreme enough that it slows down your play. Adjust your screen size and orientation so as to fit your Bingo card on your interface. What Makes for Great Bingo Experience? Game Selection - We choose sites that offer a wide variety of Bingo games that include both free play as well as real money payouts and lucrative progressive jackpots. Banking Methods - The best sites offer a wide variety of safe and easy to use banking methods like credit/debit cards, e-wallets like PayPal, Neteller, uKash, and other popular payment methods. Fast Payouts - Let's face it, you are in it to win it, and when you win it you want to get it fast and without any hassle. We select only those sites with rapid payment and a dependable turn-around. Mobile Compatibility - The most popular means of online interaction today is not the desktop computer, or even the laptop. More and more people are relying upon their iPhones, Androids, and other popular mobile devices. Security - The best sites have the best security software operating at all times and are completely authorized by Gambling Commissions. All sites must have an encryption that is 128 bits or higher to even be considered by our specialists. The question that Bingo players often ask themselves is whether they should play for free and fun, or for real and fun. The answer isn't that simple. 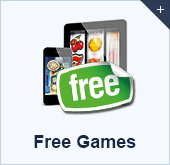 One thing is for sure, when starting with a new gambling site it's always best to begin with the free play option. The reason behind that is to make sure that your particular device works well with the new site. Additionally, it will help to build up your skills, understand the game variety, and get ready for big money winning. Don't stay on the fun and free for too long, though, because people do make money playing online Bingo. Because gambling online is something that can literally be with you day and night, and is available whenever and wherever you have internet, it's important to manage your time and treasure. One of the safeguards when playing online is to budget how much you are willing to lose and setting limits on your gaming. Also, it helps to set aside time for when you won't be glued to your device. It's always smart to know when to stop and understand those telling signs that you are losing control. Explore Your Bingo Options Today! Bingo has been around for centuries, and it continues to fascinate gamblers of all levels. Unlike the Bingo games your grandparents played, it's out with the old and in with the new, improved, and super exciting way. Much time and attention has been spent on finding the best online Bingo sites that cater to discriminating players out to not only have a great time, but to win prizes and, in some cases, significant cash. Online Bingo is very similar to land-based Bingo in that they both follow the same concept of random numbers being selected and then players mark that number on their “card” until a set criteria is completed. Online Bingo sites rely upon technology similar to online slots. Random number generators and flash technology run the interface, and instead of daubing the page you click on the numbers. Can I play bingo online for real money? Absolutely, playing for real money is how you turn fun into cash returns. Online Bingo sites provide for a wide variety buy-in levels, from pennies to high stakes Bingo. Is there an option to play for free? 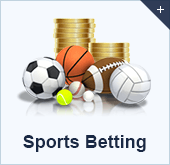 The best sites offer free play as well for real money. Players will often begin playing for free while they are getting used to a new site. Also, it is always fun to test out a strategy for free before wagering real cash. While there are some sites that require downloaded software, most are non-download and even available mobile. Random number generators ensure that bingo games are fair. It's always important to choose only secure, licensed, and tested sites before investing too many of your gaming dollars. Many theorize that there are sound strategies, but because of RNG - random number generators - it is a game of chance. Always be certain to cover all numbers that are called and pay attention to Bingo sites RTP% - return to player. Are there bingo progressive jackpots available? 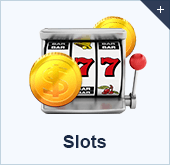 Yes, progressive jackpots are available and many of the recommended sites listed on this page have progressives as well as other player bonuses. Which is the best online bingo site? The best online bingo sites are listed on this page and have been carefully selected to ensure a quality experience, high rates of RTP, quality customer service, and other key features that make them the best. Is online gambling better than online bingo? 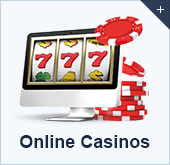 Online Bingo and online gambling are really much in the same. Many gamblers have come to believe that online gambling, bingo, and poker are all better online. When you're not enjoying the many varieties of Bingo, take a break and enjoy hundreds of online slots, poker, and other popular online games.